Birmingham Business School Advisory Board Guest Lecture. One of the highlights in the prestigious Birmingham Business School’s calendar is the annual Advisory Board Guest Lecture. 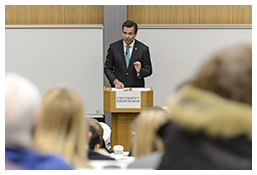 This years guest speaker was Antonio Horta-Osorio, CEO of Lloyds Bank, addressing the question of how Britain can prosper post-brexit with his lecture ‘Helping Britain Prosper in Uncertain Times’. I regularly provide photography for the Business School Advisory Board and was commissioned to capture this event which took place in the Business School’s brand new £10 million postgraduate teaching centre. 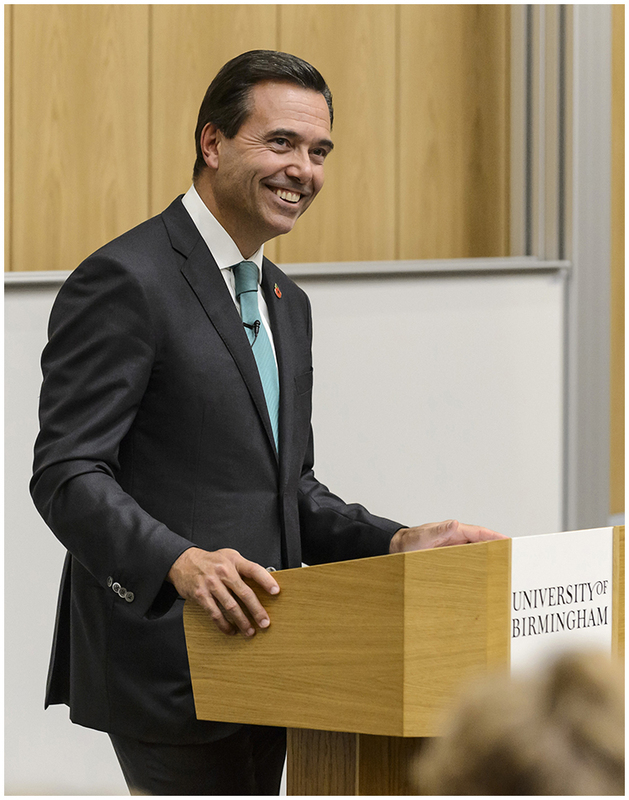 As well as the main lecture by Antonio Horta-Osorio, there were also speeches by the University Chancellor Lord Karan Bilimoria and the Dean of Birmingham Business School, Professor Glyn Watson, as well as pre and post lecture VIP receptions.